This RV Park has a very friendly staff, and great policies like no penalty for cancellation. They have a small dog run that easily accessible for everyone. The Park is easy to get to off of I-40 and has a neighborly feel. There is some road noise, but it did not bother us. There were nice views and pull-in sites. We camped at Fort Beale RV Park in a Travel Trailer. There are two RV parks in the Mormon Lake area with similar names, across the road from each other. I say this because it is hard to decipher which reviews apply to which property. They are very different. 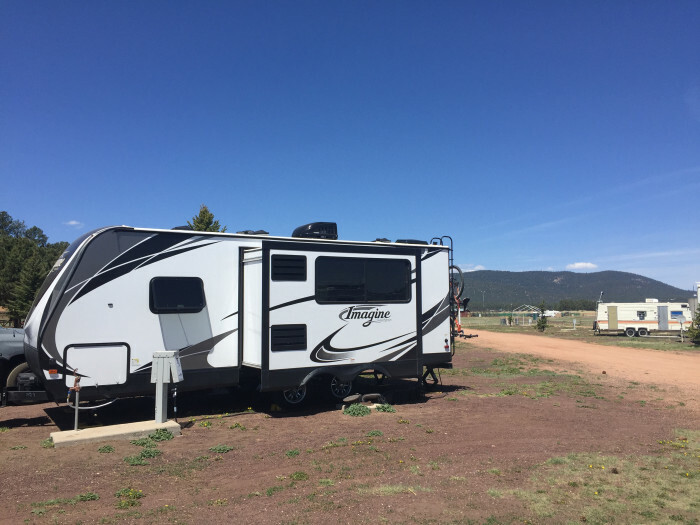 We looked at both and despite some of the reviews, we tried the Mormon Lake "Lodge" RV Campground on the north side of the road because it was very open, with a warm feeling and great views. We are very glad that we stayed here. We spent one entire day lounging at the campsite, however other days we hiked local trails which were wonderful. The Lodge staff were very friendly and helpful. The Lodge gift store and restaurant are excellent and also include a Zane Grey museum. The food was good with great service and a good beer selection. We would definitely stay here again. A couple minor drawbacks: If the place is crowded (it was not for us), there is a chance you would have to face your neighbors entry which may be uncomfortable if things are tight. Also you may have to be patient to find someone to check you in after hours. 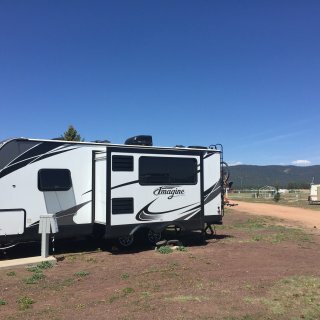 Another great thing about the Mormon Lake Lodge RV Campground is they are official supporters of The Arizona Trail, and many hikers would struggle without their services in the area. We camped at Mormon Lake Lodge Campground and RV Park in a Travel Trailer. When you call to reserve, ask for a site with a tree. All sites have views. You may also try asking for a site that is not next to someone else.